Make a distinctive presentation on any table or buffet line. 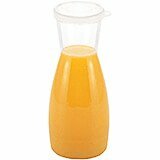 Ideal for juice, wine or any other beverage. Lightweight designs are easy to handle. 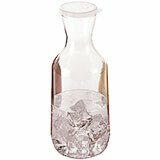 Available in clear polycarbonate and with spill-proof lids to reduce spills or to fill and store in off hours. 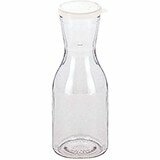 Lids work on 1.5, 1 and 0.5 Liter Cambro Decanters. 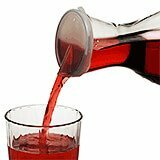 Use these Pour Spouts Lids to pour beverages easily while keeping the beverage decanters covered. 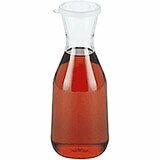 Replacement lids for 1-1/2 L, 1 L and 1/2 L Cambro's decanters. 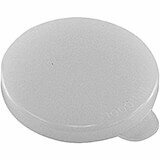 Replacement lids for 1/4 L Cambro's decanters.